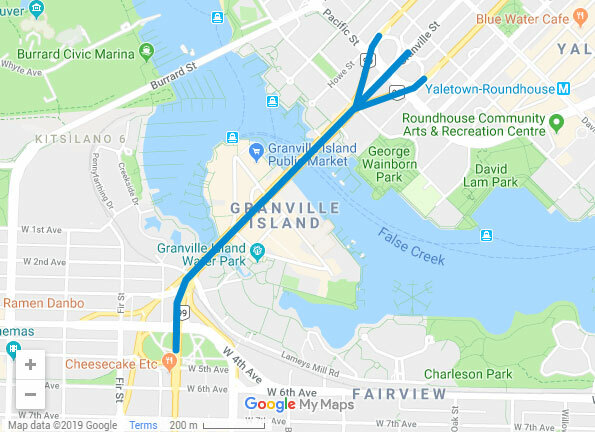 The City of Vancouver will be performing critical and structural seismic upgrades as part of the broader improvements to and around Granville Bridge. Construction for the structural upgrades is now underway until 2021 and is currently focused underneath the north end of the bridge. Work will be from 7am to 5pm, with extended hours as needed. While access to businesses will be maintained at all times, here is a toolkit for navigating construction projects operationally. Watch for opportunities to provide feedback on proposed design for the walking and cycling improvements.